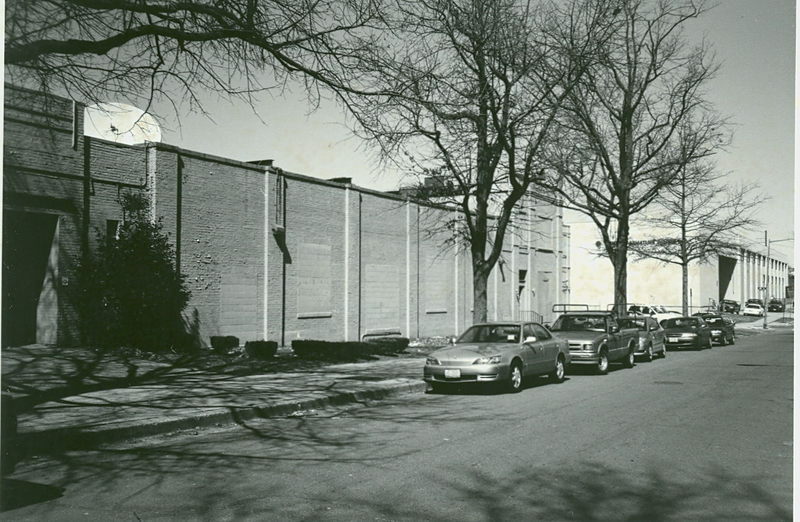 The M.J. Uline Ice Company, manufacturer of ice for area residents and businesses, was founded by Migiel “Mike” Uline, lately the owner of a string of ice plants in Ohio. 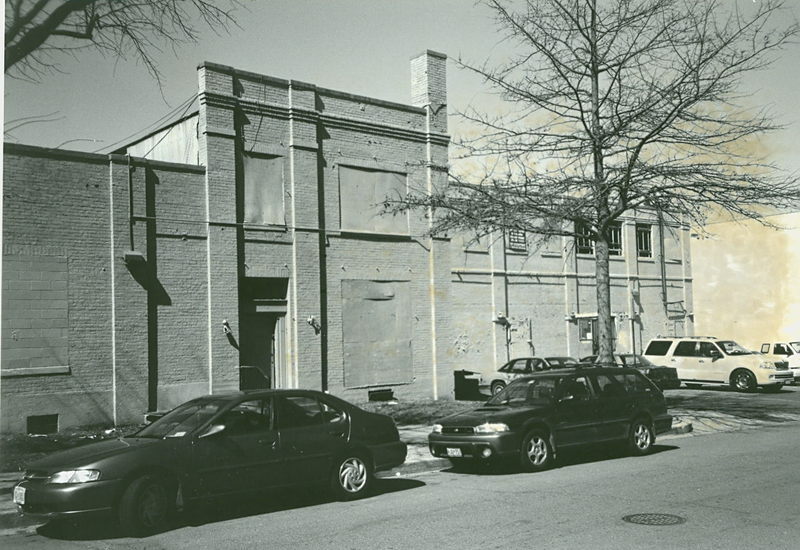 The main block of the company’s Washington ice plant was erected in the spring of 1931, with additions in 1935-36. The simple brick structure is typical of utilitarian rail-side industrial buildings of the period. 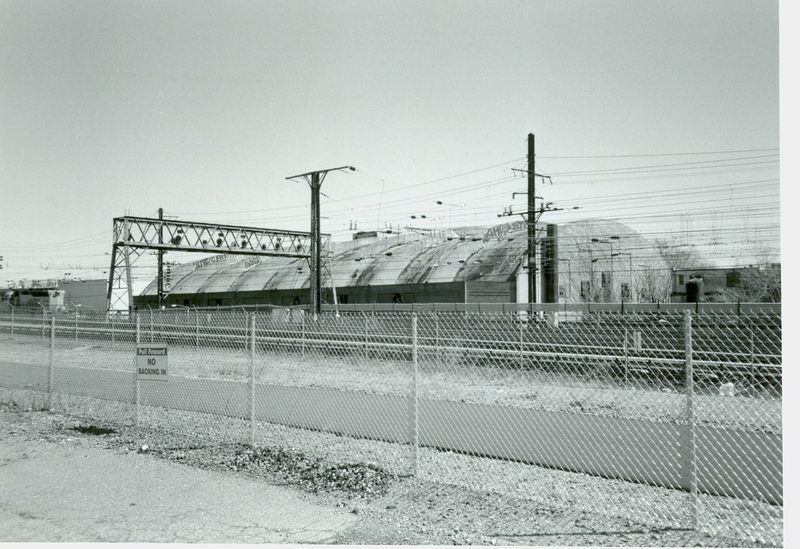 Built by the Consolidated Engineering Company of Baltimore, the plant’s architects of record were Kubitz & Koenig, the Baltimore construction engineering firm of civil engineers Otto Kubitz and Martin Koenig, Jr. 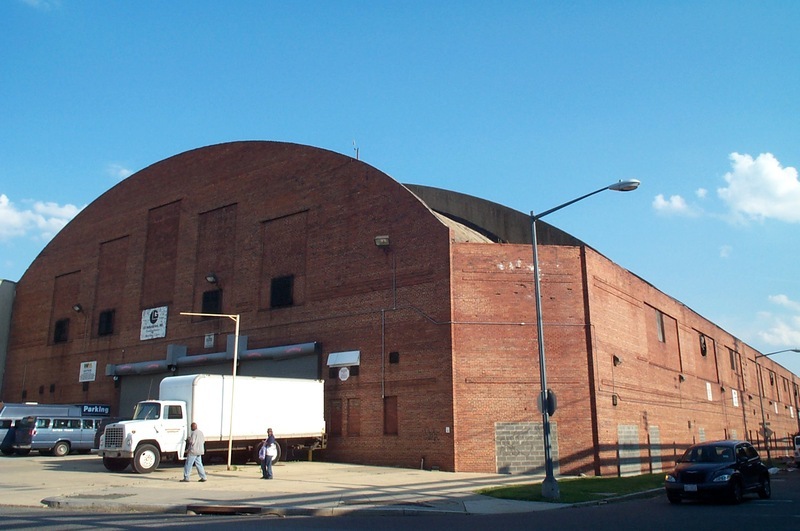 The adjacent Uline Arena was added in 1939-40. 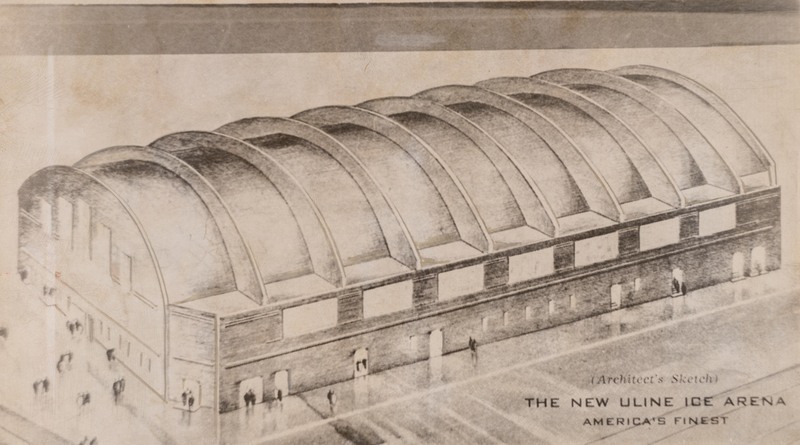 Hailed as “a triumph in concrete” when complete, the arena was the first thin-shell concrete building erected in Washington and one of the first in the country. Roberts & Schaefer, a Chicago engineering firm, designed the structure, using its exclusive U.S. patent rights to the innovative German “Zeiss-Dywidag” system of reinforced concrete roofing. The contractor was the White Construction Company of New York. The vaulted roof allowed for a 140- by 270-foot unobstructed interior space that accommodated the largest indoor hockey rink in the country. Built for ice sports, it was immediately adapted for boxing and musical events, and then also for professional basketball, tennis, and wrestling. 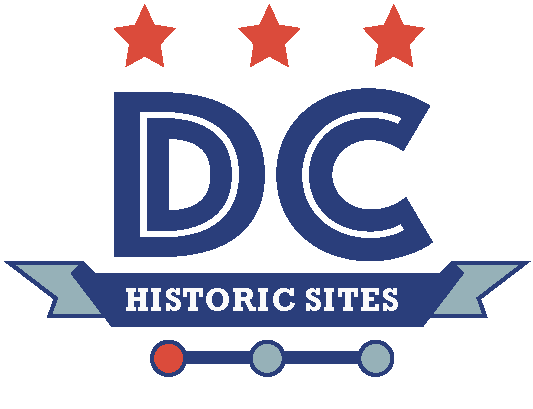 Like many other public accommodations in Washington at the time, the arena’s events were racially segregated, except for matches involving black boxers. During World War II, local chapters of the NAACP encouraged a boycott of the arena and after the war resumed the campaign for nearly a year, until Uline relented in 1948. 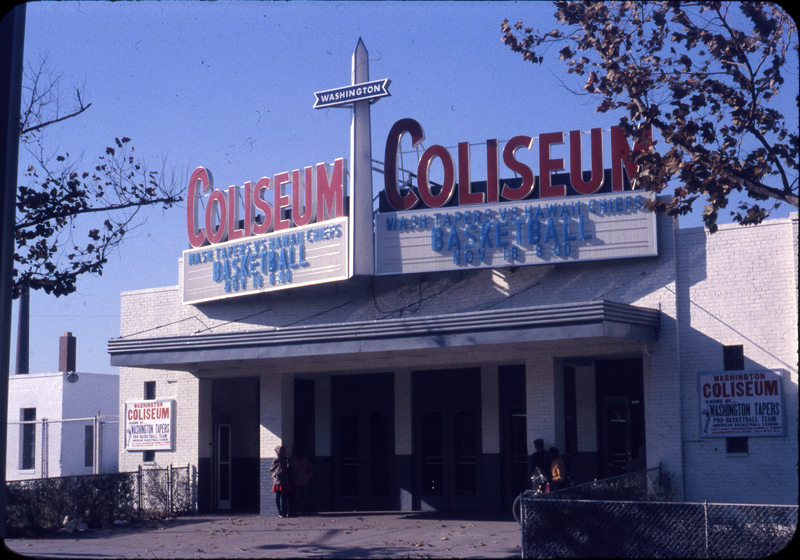 Ironically, as Washington Coliseum, the arena subsequently became an important venue for African-American cultural and political events. Nation of Islam founder Elijah Muhammad and his disciple, Malcolm X, spoke there in 1959 and 1961. And in the 1980s, it was most notable as home to performances of Washington’s indigenous Go-Go music. 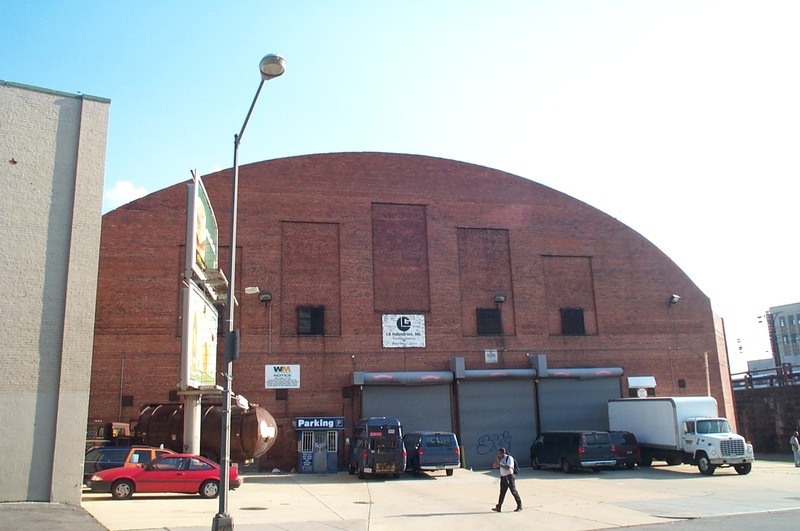 It is also remembered as the site of the first United States concert site of The Beatles. “M.J. 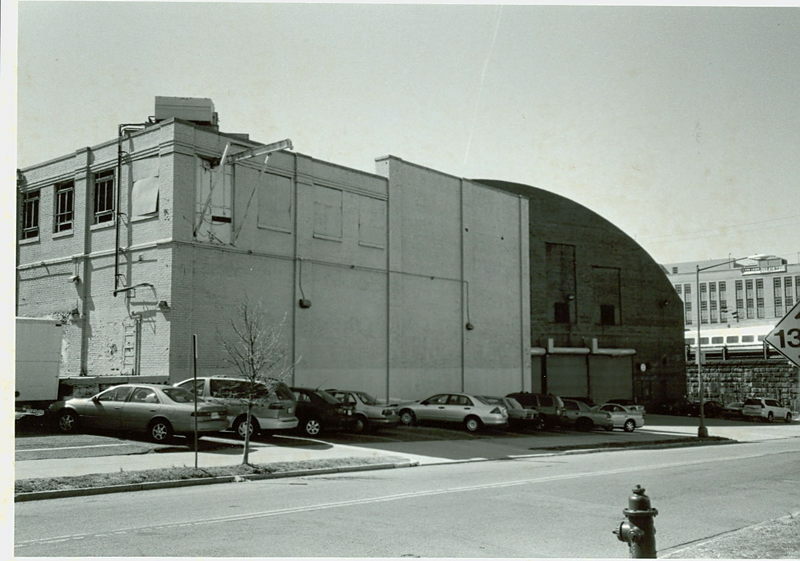 Uline Ice Company and Arena (Washington Coliseum),” DC Historic Sites, accessed April 24, 2019, https://historicsites.dcpreservation.org/items/show/613.